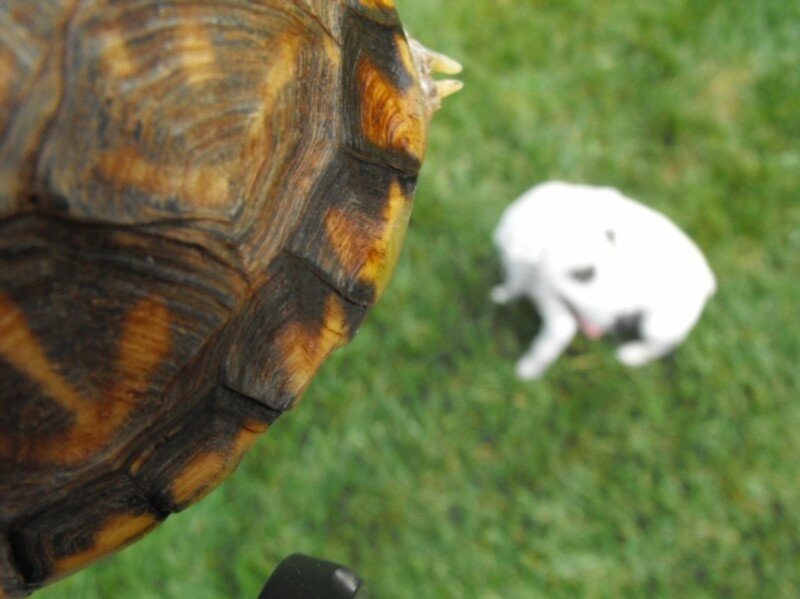 Sherry has been writing about home, family, and pets since 2008. She enjoys retirement, traveling, reading, and crafts. What do you do when a turtle is seen hoofing it across the street on a city street in L. A. county? First, you witness the car ahead swerving, and you take action to avoid hitting the turtle, as well. Second, pull to the side of the street and retrieve it so it will not get pulverized. Third, marvel at the curious animal you have just saved from the wilds of the suburban street. Fourth, go on and buy your nachos at the 7Eleven Store down the road. Name the turtle Nacho. My son found an ornate box turtle in just this fashion. Now he needs turtle supplies. 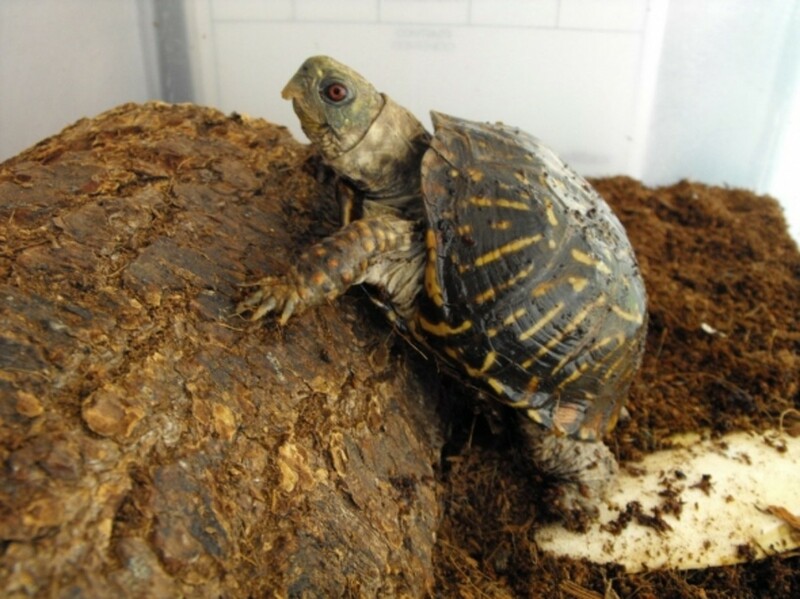 Follows is some general information and links about box turtles and care the new ornate box turtle will need. All pictures are of Nacho. 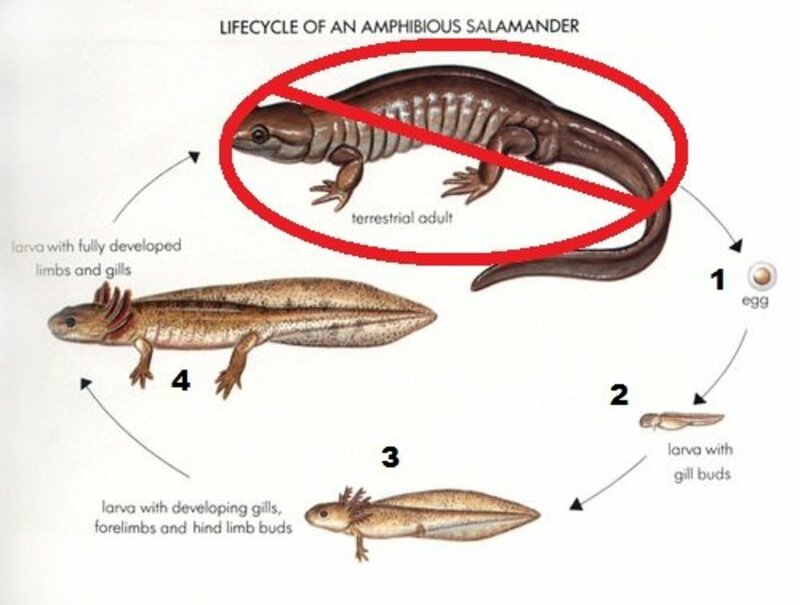 Our household knows nothing about small land turtles. 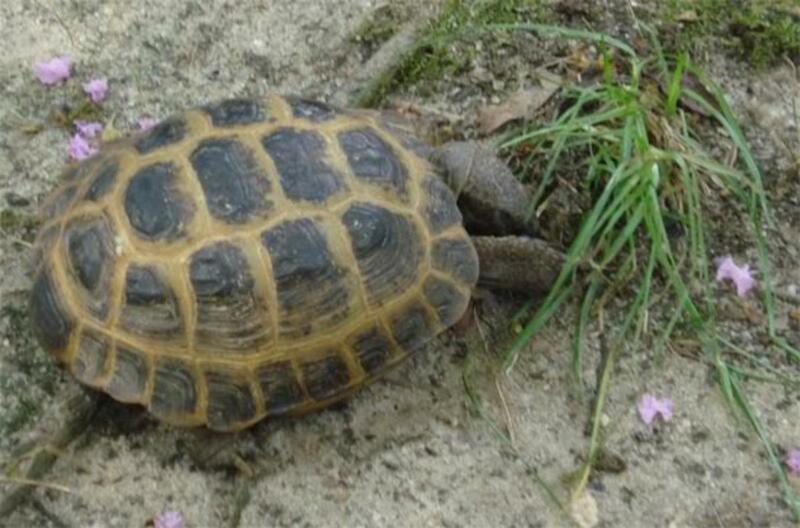 The Internet informed us the rescued animal is a box turtle, the terrapene ornata. The rescuer started immediately with gathering the supplies that would make the turtle comfortable. He started with a big white plastic bin from Target. He put water in a bowl and torn newspaper on the bottom of the bin. Some research was the next step because this turtle ignored all the tasty vegetables from the refrigerator. We did not want a starving turtle. The box turtle likes to rearrange his environment. Bags of coconut fiber were acquired for the bin. 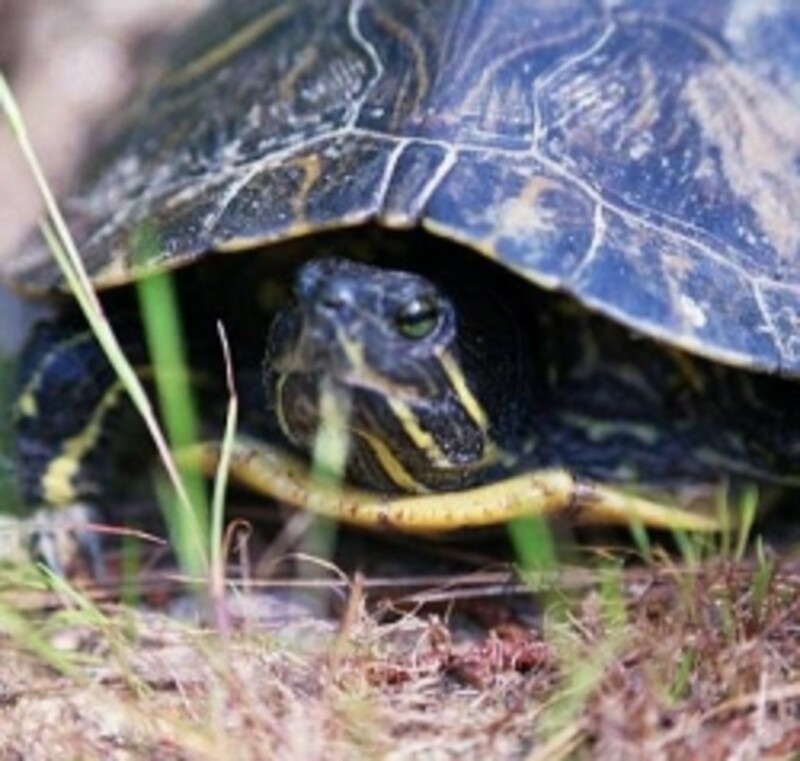 What to do when a box turtle is seen on the road? Stop and check it out. Go on and hope it gets across before the next car. Pick it up and put it on the other side of the curb. 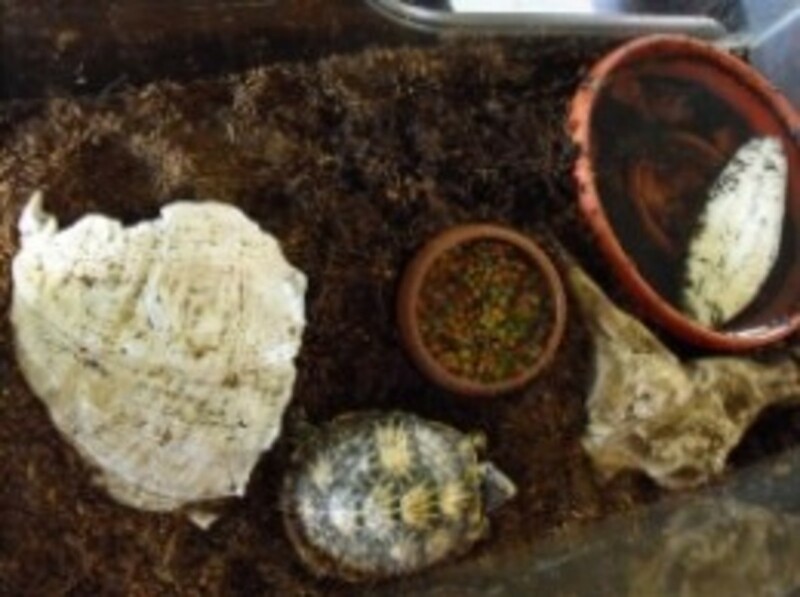 This is an example of the indoor shelter for a box turtle. This is a female box turtle that someday will be introduced to Nacho. 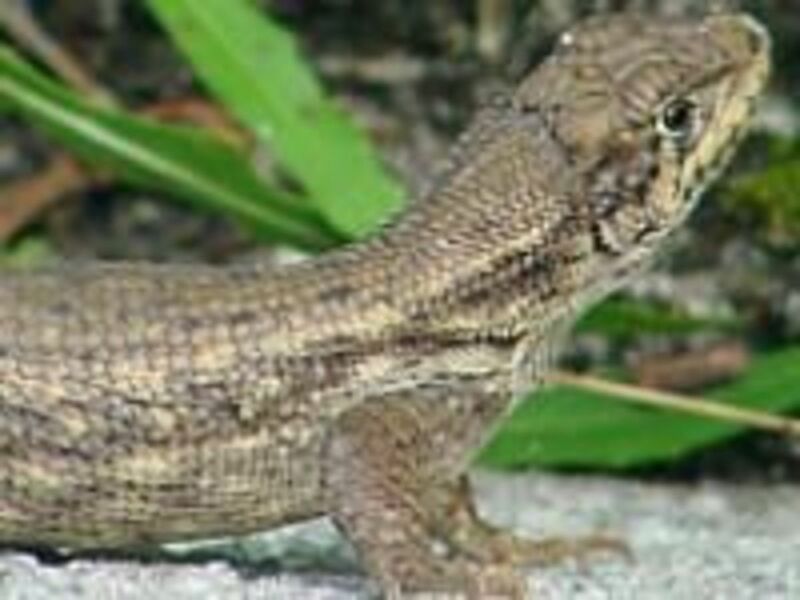 She is about two inches smaller and does not display the red eye and red spots on the legs, as the male does. The females carapace is more ornate, showing brighter markings. a/o April, 2011 Both turtles have been under their shell house or hutch since about the end of October. Not moving at all. Couple of times each of them awoke and moved around a bit than retreated to the hideout. After you have your new turtle in a secure place. Find all the facts on the Internet. We are in southern California and box turtles are not native to this region. It is not legal to take a desert turtle home, for example. 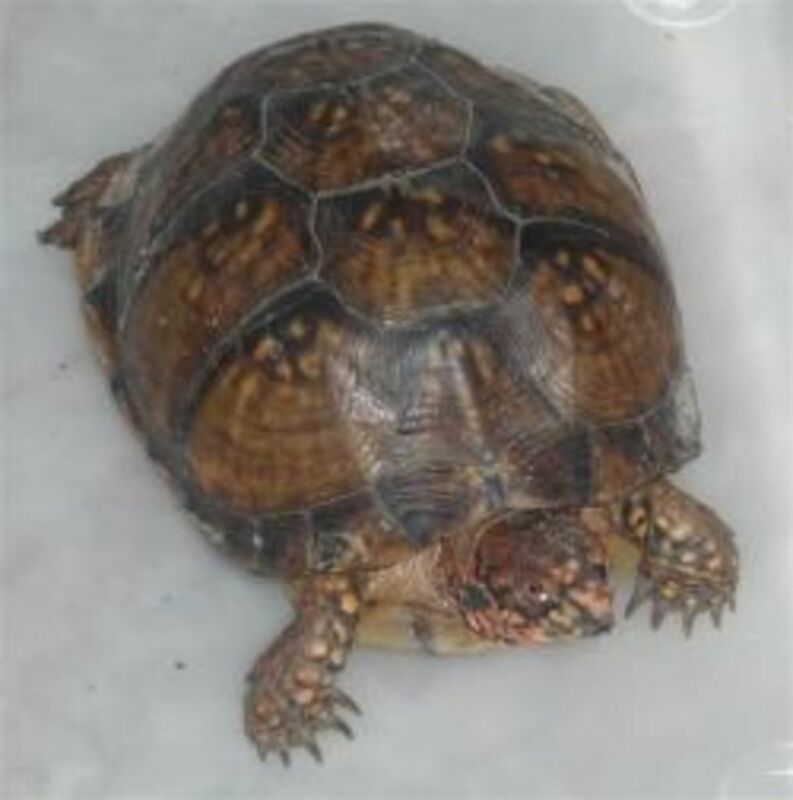 It is best to leave your box turtles in the wild of you live in the Southern States of the U.S.
Nacho was probably an escaped pet and may of lived fine in the area he was found, because there is a semi-natural stream next to the road. The road is very well traveled, though. If you are thinking about a turtle for a pet, get one from a good source that raises them in moderation for interested and responsible pet owners only. This story about Louisiana boxes turtles is very interesting. It is also sad that some young people have developed very twisted urges. Well designed and up to date information. General care and good link list. 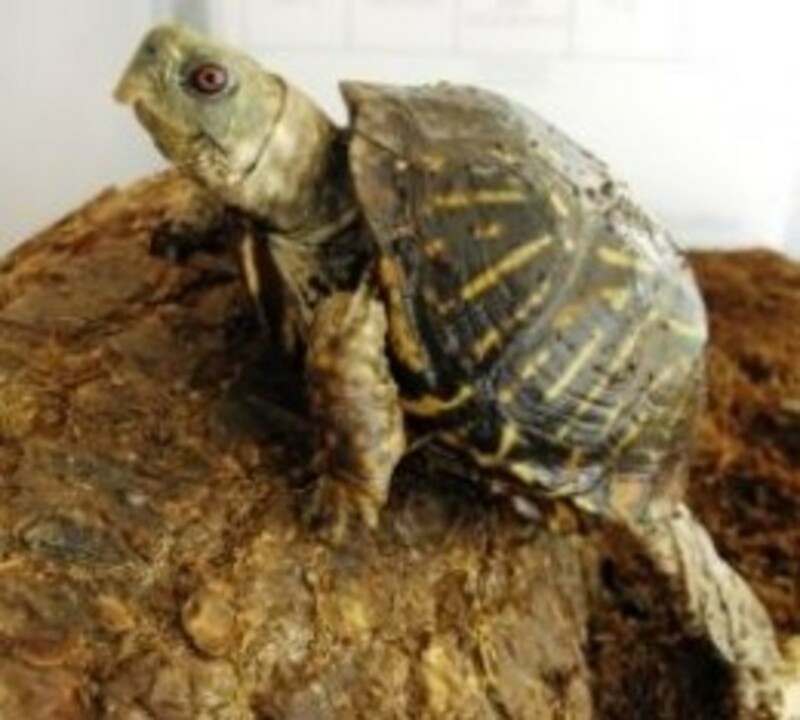 Loaded with links to thorough care and information about the box turtle. Information about the box turtle of the Mojave, Sonoran and Chihuahuan deserts. This is Nacho, a terrapene ornata. Nacho has been a wonderful source of information and family conversation. He was a little afraid of people at first and liked to bite fingers if they came close. His eyes were yellow and now they are a bright healthy red. He may have been an escapee because he has become used to us and seems less angry when we get near. I have found that his beak has a surprisingly hard bite. During his beak trimming (see cuttlebone above) I also found out that their carapace and plastron clap together with strong force. He likes to swim and he gets water exercise in the family pool under constant watch to give him a good hydration. This swim lasts about a minute. He used his sleeping hut to lift himself out of the Rubbermaid bin and he landed with a loud crack on the cement. Thank goodness we were there to witness this and knew exactly how he got out. He now has an identifying chip on the back edge of his shell and his hut is always in the center of the bin so that this will not happen again. The bottom of the shell is the plastron. Notice the hinge near the thumb. The outer beak grows like a human nail. It occasionally may need filing. Chips on Nachos carapace. Chipped about 1/4 inch. 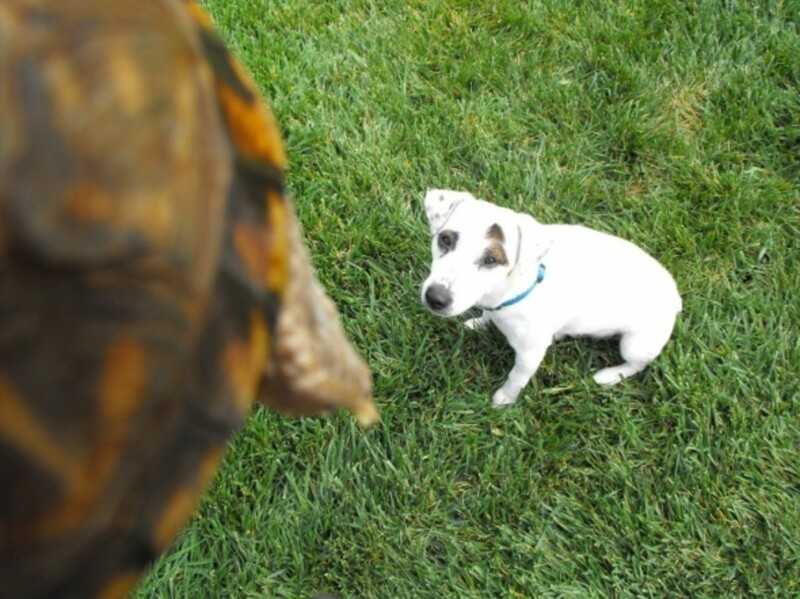 Hank the Jack Russell is wondering about the box turtle. 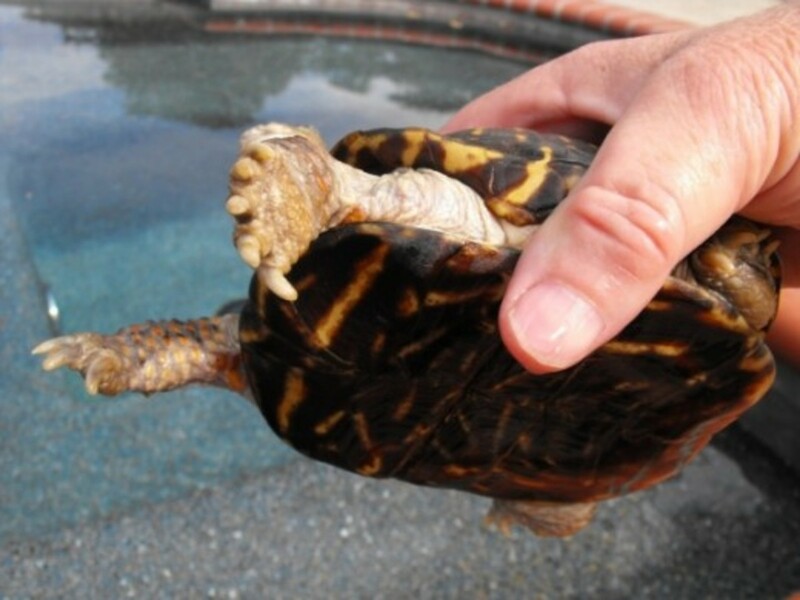 The beak of the turtle will keep growing, like human fingernails. Nacho's beak was rather long a sign that he has had only soft food recently. A cuttlebone or calcium block is good for keeping the beak trim. These little tortoises have a strong bit. Be sure to be familiar with your new pet's needs and care for him in the best way possible. 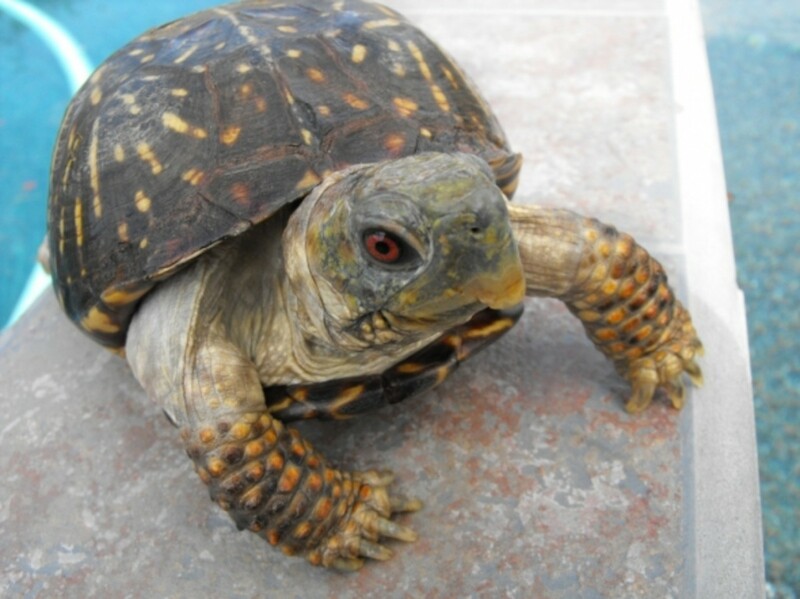 Box turtles may live for 30 years, and you can have a long and enjoyable relationship with the proper care and attention. Explore the Internet because it holds everything you need to know about the box turtle. Nacho has become accustomed to his new owners. He does not bite at all. Goes to show that these turtles are smart little guys. @anonymous: Oh no! I am glad you have mentioned that here. That pool is chlorinated with the salt method and I am not going to that anymore. Thank you! Hi. I don't want to sound scoliding, but I hope that's not a chlorinated swimming pool. That's REALLY bad for them. I assume it's a really clean pool made of only fresh water? I remember reading a year ago about how some couple took their turtle to the beach, let him go in the salt water, and killed him because it permeated his skin. @Country-Sunshine: We are looking at our front flower bed for a bigger habitat. Backyard is for the dogs. Let let you know how that comes about. I enjoy Nacho's story. I, too, have box turtles. They live in my front flowerbed year 'round. In the winter, they dig down into the dirt to hibernate. They've hatched 3 babies in the past couple of years, so hopefully I'll have more this spring. They are such fun to watch &amp; feed. Mine are pretty partial to tomatoes, and will eat them out of my hand. Please keep us up to date! 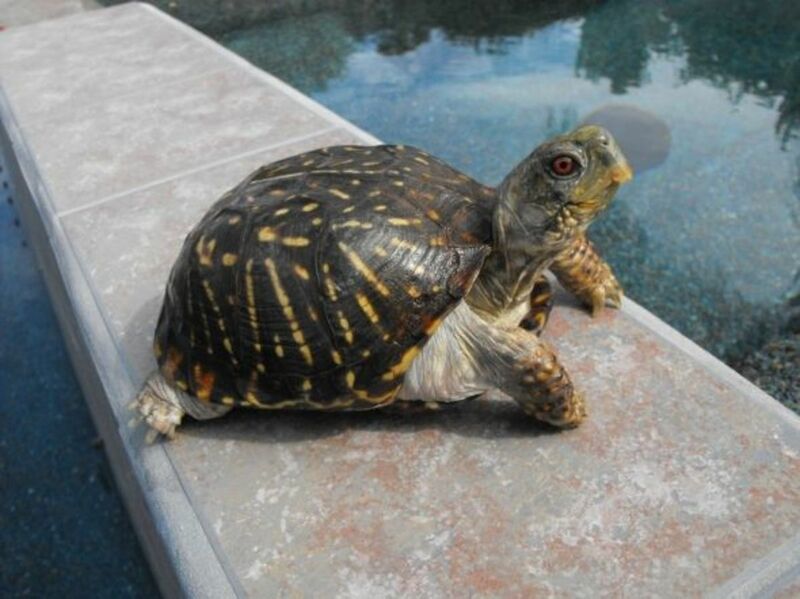 Nachos is a lucky box turtle to have found a new, caring home after escaping or being released by his former owner. Box turtles and wood turtles are becoming increasingly rare in our area, and we have been fortunate to see both in our yard. And this year, we found a baby snapping turtle. We had 3 tiny Map Turtles a few years ago, but within 2 years they grew to about 8 inches across and outgrew their huge plastic tub. Ended up having to put them in the river when we moved. Keeping turtles is a lot of work, but fun. @pawpaw911: Letting them go about their wild life is best. You must live in one of the states they are endemic to. Our state, CA., has the rather large desert tortoise. If you breed them those are not to be put into the wild, and you are not to acquire them from the wild either. Nice lens. We had two Ornate box turtles come to our yard this year. I took some pics, and let them go on their way. Cute video of a swimming turtle. Lots of friendly advice here. I love the name Nacho! Thanks! I had pet turtles years ago. A soft spot in my heart for them. 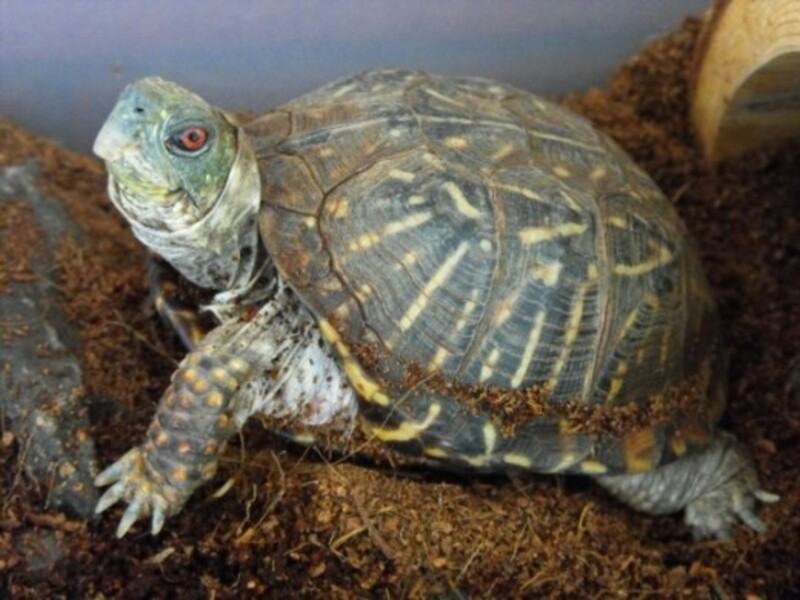 I enjoyed reading about Nacho, your Box Turtle. I imagine that he would be much easier to care for than our Red Eared Slider is. 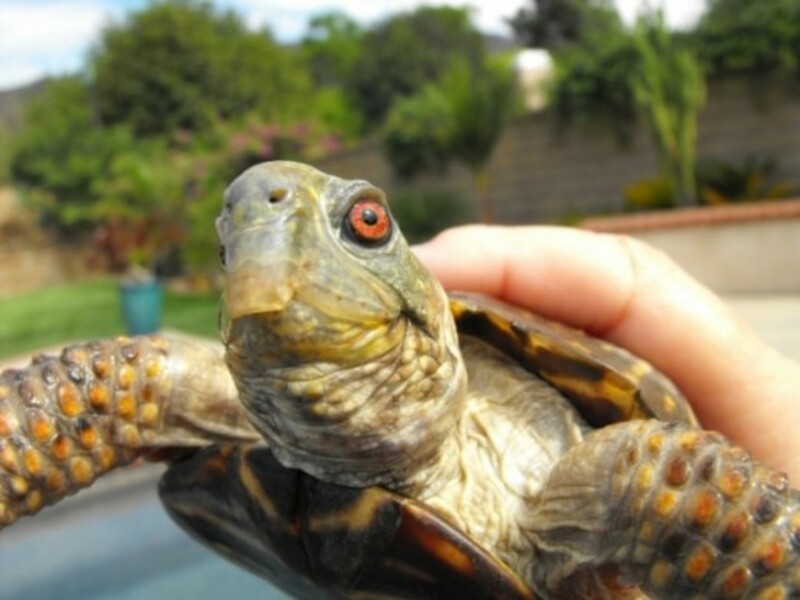 My mother-in-law had a box turtle live in her house for years. 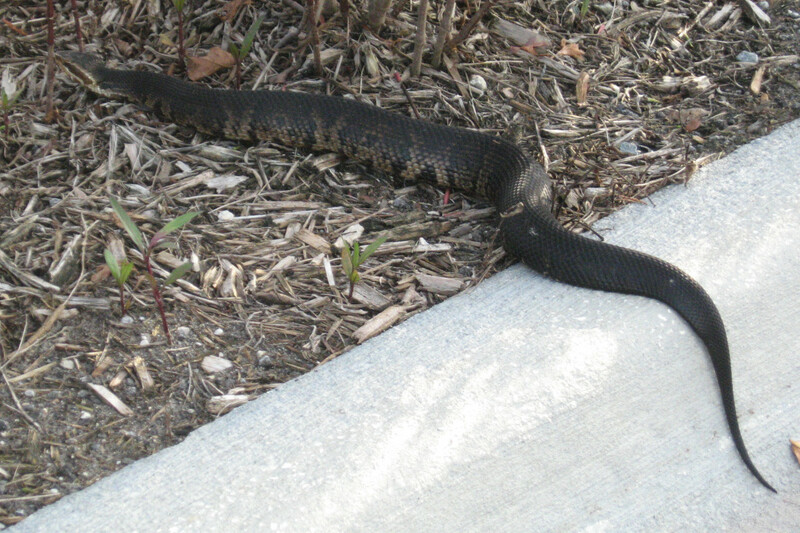 You had to be really careful walking around, so you wouldn't step on him. He liked strawberries and other fruit. I've featured your lens on SquidPaw Lenses. 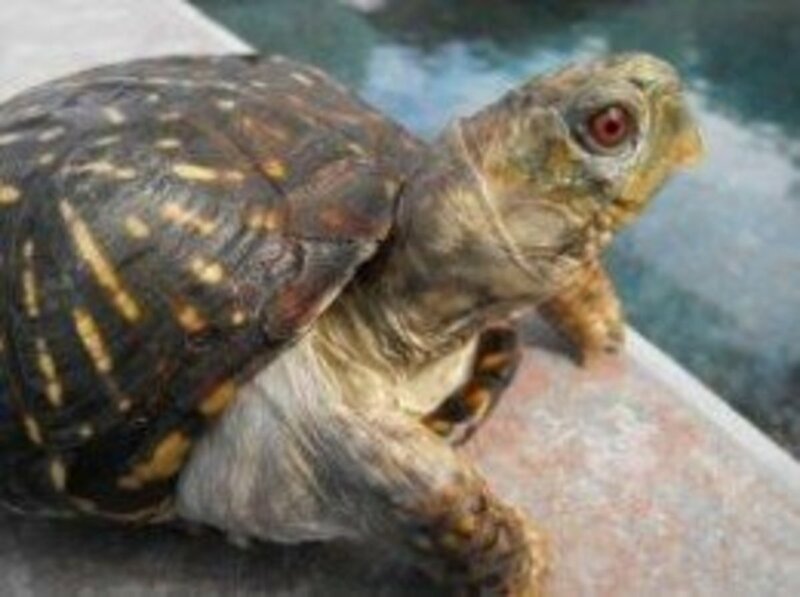 When I was little, I found many box turtles out in the country. I kept them for pets in the summer every year, but then I had to set them free outside because my parents didn't want to keep them. I kept the turtles in one of those blue plastic swimming pools for children. They had dirt to crawl and dig in on one side, and shallow water to play and swim in on the other side, with a shelter in the middle. Gosh, I do believe as a kid we had a turtle or two but none of them was THIS big! I've got a couple of pictures I took of a turtle that came out of the marsh -- I think it is a painted turtle. Good luck with that guy and be sure to count all your fingers. It looks HUNGRY. How fascinating! I'm glad Nacho was rescued! 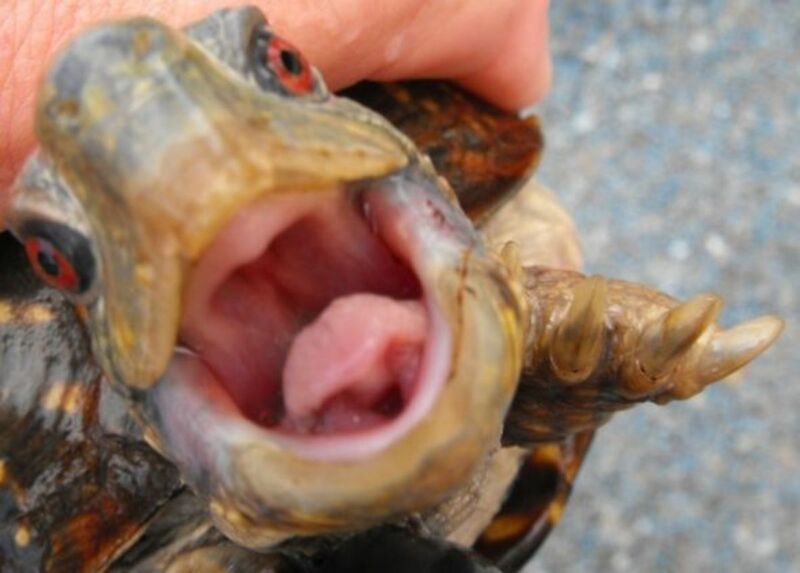 I didn't know that box turtles had beaks, sorry you had to find out the hard way that it hurts when they bite.